“Seems more practical than the BFR” except that the BFR is already partially built and the question “how is this going to be paid for?” is answered. BFR is primarily a launch vehicle. The port to port capabilities are an emergent “oh, wait, with a cheap rocket, we could do this” sort of thing. Don’t be surprised if that part of the BFR gets dropped or delayed for a while. The thing is, though, BFR being used port-to-port is more realizable since the craft is going to exist for space launches primarily. Which means the BFR will be improved whether or not its used for port to port transport. And, if its space reliability is high, then SpaceX can start work on securing the legal and infrastructure needs of the BFR. So, while the design might be more “practical” from your point of view (i.e. it’s a space plane that isn’t so big), it’s not actually necessarily much more practical in reality. In fact, it might be less practical because it’s more complex. The BFR is not like a plane - it is a rocket that can land, fundamentally. The delta “wing” is not a true wing. It’s just a shaped heat shield and has no steering flaps for subsonic travel, which means that the heat shields won’t need so much work and require so much cost after every use. Furthermore, because it is simpler AND sturdier, it will be more reliable, and safer. I just think that people here are not wrapping their heads around “fully reusable” in terms of what that actually means for cost. Don’t worry about the port to port thing so much. That may or may not happen, but it’s not much of a paradigm shift because the demand to get across the ocean fast is not so great that people need to cut trips of 9 hours (12-15 hours of travel with the air port/connecting flight BS) down to 30 minutes (3.5-6.6 hours of travel). You’re not getting much out of the BFR being used port to port that would actually justify it being used without it first being proven very safe for getting people to orbit. That’s the general idea behind port to port. Why make a rocket to do what an airplane can do just as reliably? Answer, you don’t. You make a rocket to go to space cheaply, and once that has been developed and proven reliable, you use that for earth travel that is faster than a plane. The military might like the BFR more than anyone for that purpose, to be honest, and it would be a lot easier to justify. Imagine being able to get equipment, personnel and weaponry anywhere in the world in a half hour. The thing is designed to land on the moon or on Mars, so, surely it can land on rough terrain on earth. With that military application, development for reliable human transcontinental transport would be taken care of. The BFR is basically going to be one of the most historic pieces of technology ever. It’s really unlike anything we’ve ever seen, and the breadth of its applications are basically unfathomable. EDIT: if anything, you could just not provide any drinks or services on the BFR, including bathrooms since you can’t piss during a plane flight during landing anyways (which is the length of a BFR flight), and then just be read to get people immediately off. No carry-on luggage means you can simplify the security check. Combine this with hyperloop infrastructure connecting you to the BFR, which also deals with the “rocket blowing up near a city” problem. So, basically, maybe 2040 is a year where the BFR type rockets transport people around the world and hyperloop carries passengers within continents more efficiently than airlines. I bet you anything this is what Elon has already thought of. Hyperloop station links passengers to rocket ports, with their own more efficiently, well designed ports due to it being a Musk company. 10-30 minute security check for hyperloop. 30-120 minute ride on the hyperloop. 30 minute to 1.5 hour wait for rocket flight. 30 minute rocket flight. Land, get on next hyperloop to your city of choice in 30 minutes to 120 minutes. Demand would drive the price of BFR up once it’s proven safe. So, 10k a seat would only become a reality once they have scaled up accordingly. It’ll only be proven safe enough for the riskiest people in no less than 10 years. But unlike the “it’s 5/10/15/20/x years away” fallacy, there’s actually clearly a strategy where every boundary condition to move to the next step is accounted for. What are you researching? What’s the purpose of the test? Lots of tax dollars that’ve gone to waste, but it’s kind of cool in its own way. I mean, the program made sense 10 years ago. I’d rather take all of the SLS money and give it to SpaceX and literally contract with them to develop a Mars mission for NASA so that its money can go into developing the BFR with a higher likelihood of success. I suppose on the flip side, there’s the saying about eggs and baskets. The military will definitely find applications for the BFR outside of just launching. As a weapons delivery system, it’s unmatched. Launch the BFR not quite into orbit, have it drop a payload (with a heat shield) that hits a target halfway around the world. Or just have it deliver forces of crews and equipment. The C-17 Galaxy has a payload of 77 metric tons, and the BFR has a return payload of 50 metric tons. If they’re developing the BFR to land on Mars, it’ll be able to land on rough terrain on earth. The BFR should cost a moderate fraction of that, maybe 2/3rds the cost, so maybe 290 million. I think the USAF would really like a cargo transport system that can be anywhere in the world in a half an hour at a moment’s notice and land vertically. That’s a retarded level of mobility. Buy a fleet of 300 for 87 billion dollars. You could take over a small country in 24 hours. Imagine war with North Korea, just the psychological impact of seeing hundreds of massive rockets landing at once with military personnel exiting. What’s perhaps more terrifying is the potential for use as a kinetic energy weapon. At a payload of 150000 kg and an orbital velocity of 7800 m/s, we’re talking about 4.5 trillion joules of energy, which is only an order of magnitude down from the hiroshima bomb. No test ban treaties, no kinetic projectile ban treaties. Tilt the rocket upside down, deliver the payload with some not too complicated or expensive method with precision and we’re talking about dropping mini nukes for the price of conventional bombs, anywhere in the world with no fallout and literally no way of actually stopping the thing. It’s like Star Wars level artillery. That would make it the most powerful, effective conventional weapon in the world. The chemical rocketry torch has been passed to the private sector. 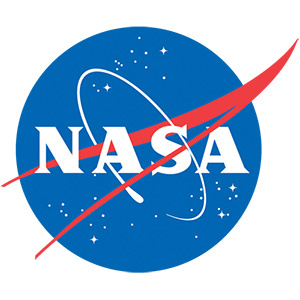 NASA should be focusing its resources on essentials that the private industry cannot or will not undertake. At the mission level, they should continue with robotic exploration, telescopes and so forth. At the research level, it should be investigations into enabling technologies such as centrifugal artificial gravity, inflatable habitats, experimental engines, etc. They should certainly beef up their near-Earth tracking stuff. As for SLS, that was just a jobs program. Keep pumping money into that industry because without that influx of money a lot of important expertise and infrastructure would simply wither. Note that congress and the president have NEVER known what to do with a manned space program. The scientists and engineers can do stuff with the robotic side, but the manned side has always been directionless. Apollo only happened for political reasons. Everything since has been some kind of echo of the glory of a manned landing. Ultimately, the Apollo landing screwed up people’s perception of space exploration for decades. I agree with President Eisenhower (Kennedy’s predecessor) that the whole space exploration program should have been slow and methodical, tied in with commercial and military goals. Eisenhower was a good, level-headed man. I completely agree with you for what it’s worth. SpaceX launch in about an hour, you can watch it below. Another launch happening today, in about 2 hours (12:37 UTC), Orbital ATK CRS-8 is delivering cargo to the ISS. Aborted at T-20 seconds due to an airplane in red zone. They are gonna try and launch again in about 20 minutes (12:14 UTC). Well it was a long weekend…having technical issues with video so here’s a sneak peek. Double post because an edit wouldn’t bump the thread. 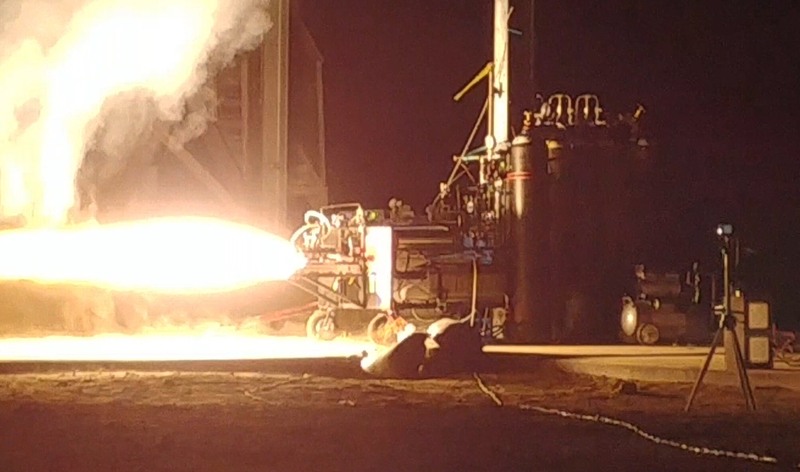 Only have a few videos for now…here’s one from the test stand! Okay so I hyperlinked the link to the video to watch on the drive…I’m not sure if discourse can handle a link from google drive. It would be easier to have the player here but you guys will just have to watch it there unless someone figures it out. It’s pretty sick. I’ve watched all the videos like a hundred times since Saturday and I can’t get enough. Really getting good at this now, it just kisses the ground when landing. The soundscape of this is nuts. I think it needs handgrips all around the windows so you can put your nose to it during the weightless part. Amazing how it shows the view you can get from a suborbital launch - excellent views of the local area, but not compareable to the views from Orbit, such as the ISS. I think whoever can afford this and takes a suborbital ride will want more of it and get an orbital ride once available. I think that launch site has a cool local area, i love the look of the desert. Others may feel different, dont know. But it shows that in principle, you could have more suborbital launch sites and select them for the most stunning views. Desert has the advantage to not only be far away from population centers, but also very little risk of clouds.